Gujarat National Law University stands very distinct and clear in its vision that the legal eagles that are set to fly high in to the vast horizons of legal arena, keep their eyesight grounded to cater the last human in the society by being socially sensitive citizens of our nation and the world at large. To give this noble aim a realistic portrayal, GNLU has launched the Certificate Course on Public Policy with collaboration of Center for Civil Society, New Delhi from 11th April to 14th April, 2013 at GNLU Campus. 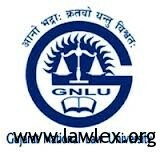 Gujarat National Law University – 11-14 April 2013 – APPLY NOW! Centre for Civil Society in partnership with GNLU, Gandhinagar is organising ìpolicy for Young Leaders, a four day certificate course on public policy and liberal philosophy. The ìpolicy involves a variety of interactive learning methods including dynamic games, talks, dialogues and documentaries, designed to provide participants with an opportunity to explore and share ideas about policy based solutions to social problems from a liberal perspective. A fun, open, and respectful environment where everyone is encouraged to think critically about social, economic, and political issues. Evokes a passionate inquiry into your own values and role in creating a good society. Equips you with fundamental concepts of political economy and sound public policy to enable you to understand the root cause of current challenges and effectively advocate for policy solutions through your current work and future professions. Get plugged into a global network of opportunities to propel your intellectual growth, make personal connections and access resources to help you advance your vision of a free society. Centre for Civil Society is ranked among the top 50 think tanks worldwide in 2012 by think tank survey of the University of Pennsylvania.